Designed highly useful & suited to promote any business this is your promotional wall calendar. Promotional applications include B2B retail, industrial, manufacturing, service related & more. 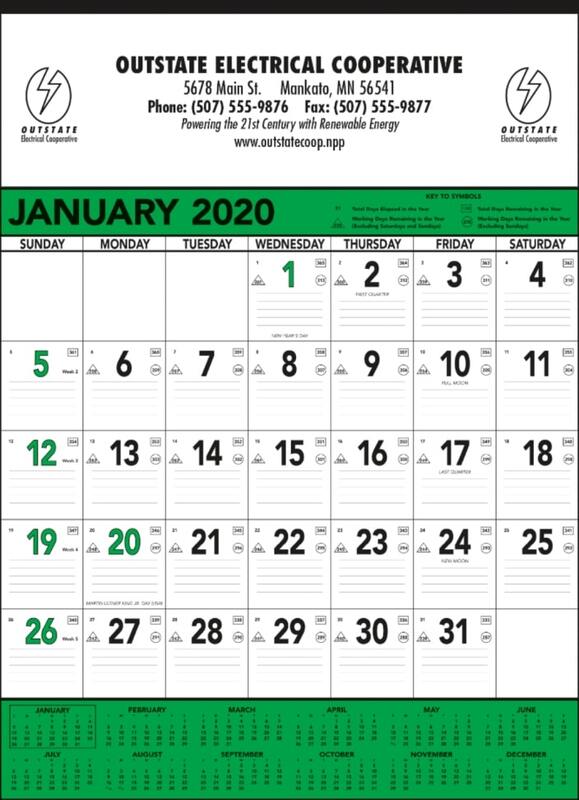 I have been buying our large promotional wall calendars for over 3 years now and just wanted to say thank you Promotional Items for top quality products, printing and service every time.